The name Kyloe, an old Scots word for Highland beef cattle, was chosen for the restaurant as it represents the strength and versatility of Scottish beef produce. 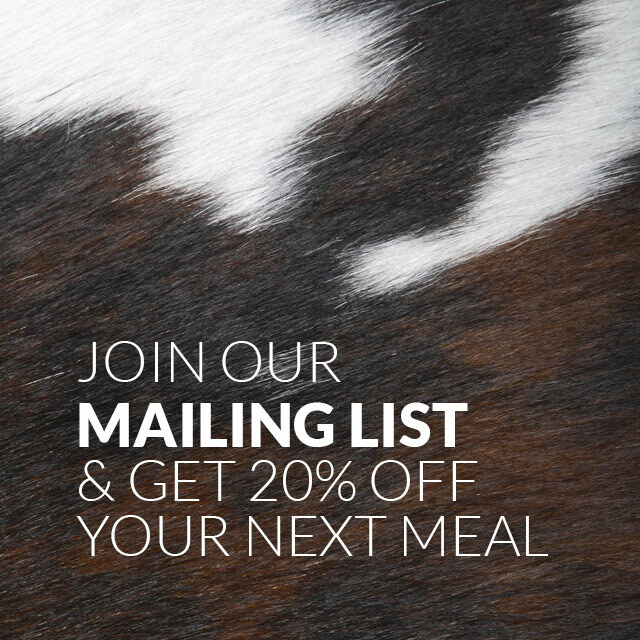 We use cuts from pedigree Aberdeen Angus – supplied by some of Scotland’s top farms and butchers – to bring our customers the best possible steak experience. When selecting suppliers, Kyloe’s award winning head chef John Rutter was not only looking for a fantastic product but for suppliers who take provenance seriously. Hardiesmill, based in Gordon in the Borders, was chosen as one of Kyloe’s main beef suppliers thanks to the owners’ rigorous approach to breeding, feeding and handling. Read more about their fascinating story on their website at www.hardiesmill.co.uk. Using a selection of traditional cuts, along with some more unusual cuts chosen for their texture and flavour, John has created an innovative Grill Menu. This is complemented by our robust a la carte menu which features Scottish seasonal produce, responsibly sourced and simply prepared to create a series of compelling dishes, including a tasty shellfish section and mouth-watering desserts created by our in-house pastry chef Fiona Boyd. Our unique and interesting wine list has been sourced through numerous wine merchants and features Kyloe’s signature wine ‘Angus the Bull’, a South Australian Cabernet Sauvignon which is the ideal complement for your steak. 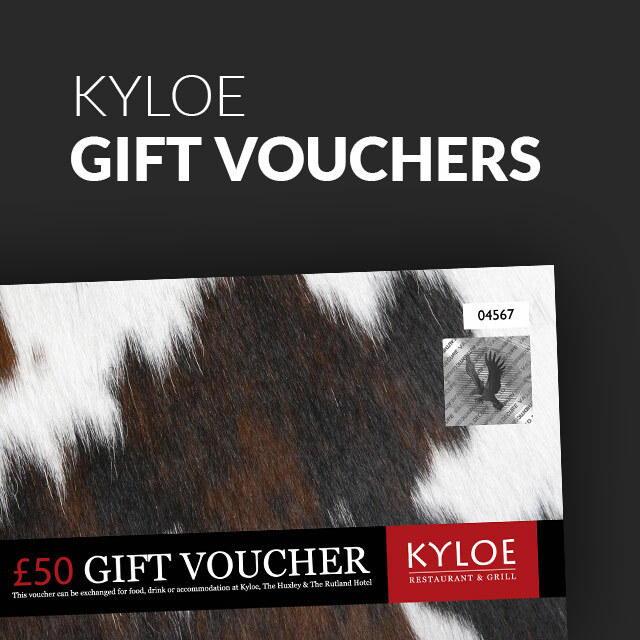 We trust you will enjoy the Kyloe steak experience, and look forward to hearing your feedback.